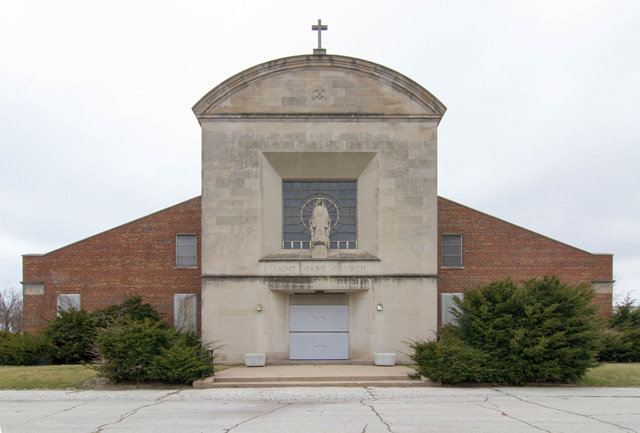 Cash offers only with proof of cash funds prior to viewing of this Religious Facility including a Church, Parish Center/School, Former Convent, Rectory, totaling 71,646 square feet located on the far Southeast Side of Chicago just off I-94 on a 3.36 acre site with 50 ext. parking spots & a 4 car detached garage. The Church building, 23,268 sq. ft. seats 750 people and has a choir loft and Stained Glass with a ceiling height of 29 feet. The attached 3-story Parish Center Building, 33,663 sq. ft. contains 9 classrooms, a gym with stage, 3 bathrooms, kitchen, meeting and storage rooms. The 2-story convent, 5,158 sq. ft. , has 14 bedrooms, 3 offices, dining room, kitchen, classrooms, sun room and 2.5 baths. The 2-story rectory, 5,808 sq. ft. contains 5 offices, 2 kitchens, dining room, guest bathroom, 3 Guest Bedroom Suites each with living room and bathroom. Vacant for several years, winterized but much repair to use, 4 Blocks walking distance to Riverdale Metra Stop.